“Photo Film Screen Print”, the glorious history now ready for your wall. Screen print collection by Jerome Daksiewicz is back and this time the concept is “Photo Film screen print “. Jerome Daksiewicz created this collection of screen-printed posters based on the boxes and containers of film stocks in the past and present. 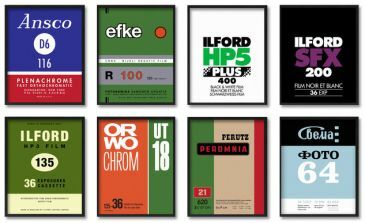 ¦The “Photo Film screen print Series” was created in order to celebrate the prosper history of analog film photography which in contrast is now on steady decline after digital system arrived. This collection is very high-quality printed at11”x14” on serigraphs 100# paper from the French Paper Co. in Niles, Michigan and handled by VGKids in Ypsilanti, Michigan who used to handle his previous project like Airport Runway, Golf Course and Racetrack Series prints. 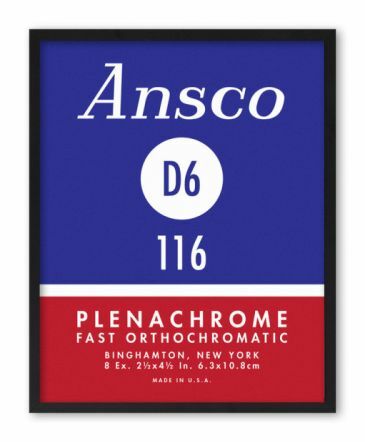 “Photo Film Screen print Series” presents many rare and premium brand name of photographic films such as Ansco which used to produced photographic films, papers and cameras from the mid-1800s until the 1980s. Another example is Efke, the black-and-white films with high silver content and as a result gives a larger exposure latitude and higher quality grayscale. 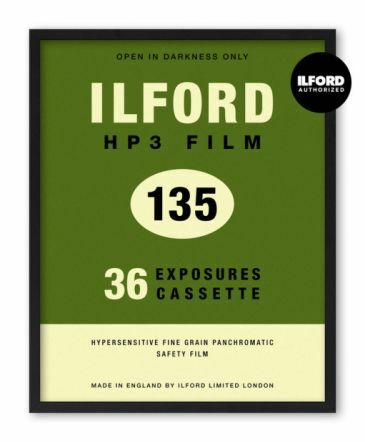 The print also includes Ilford, ORWO Chrom UT18 and many more. For those who want to show their love for analogue film photography and wish to decorate on your own empty wall, order can be made at kickstarter.com with $30 USD per single poster.